For successful completion of a task, an intelligent agent needs a carefully designed memory system which could enhance the autonomy of the whole system. Semantic and episodic memories play a key role in majority of memory systems by providing conceptual and sequential information. We propose a novel architecture that integrates both semantic and episodic memories for task intelligence. The adaptive resonance theory (ART) based episodic memory used in our work allows unsupervised learning of new experiences. The semantic memory developed in our architecture incorporates situational information as context. Considering the context enables the agent to generalize the situations where the learned-task can be performed. Thus, the integrated memory architecture progresses the autonomy and the performance of the agent improves even in new environments. To verify the performance of the proposed memory architecture, experiments are conducted under various conditions and the experiment results are analyzed. This work was partly supported by Institute for Information & communications Technology Promotion (IITP) grant funded by the Korea government (MSIT) (No. 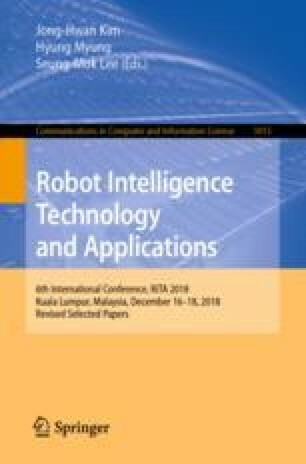 2018-0-00677, Development of Robot Hand Manipulation Intelligence to Learn Methods and Procedures for Handling Various Objects with Tactile Robot Hands) and by the National Research Foundation of Korea (NRF) grant funded by the Korea government (MSIT) (No. NRF-2017R1A2A1A17069837).